P.J. 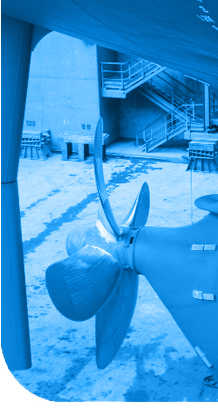 Boenders Marine Surveys B.V. is an independent marine survey and cargo inspection bureau, founded in 1991 by Mr. P.J. (Peter) Boenders. lnitially started as a one-man business, the company has grown over the years, to become one of the major players in the ARA range. ln 2013 Peter Boenders had handed over the executive management of the company to his co-shareholders Mr. M.W. (Mark) Boenders and Mr. A.W. (Bram) Verwijs. Both employees being already in the company from the very beginning. Peter Boenders has remained involved as management advisor and co-shareholder. Our competent and incorruptible survey staff consists of former mercantile marine officers, as well as "inhouse" trained employees with other shipping backgrounds; however, all feeling very strongly about looking after their principals' interests. 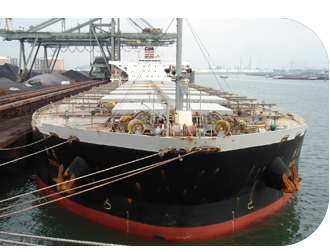 We perform our surveys and inspections for the world's major owners and operators of bulk carriers, container vessels and tankers; who appoint us directly, or via their local agents and/or P&l Club correspondents. With the years we have built-up a long standing relationship with most of our principals; notably since they appreciate our independence and the quality of our services. Our operative range is not restricted to the Rotterdam port area only (where our office is based), but we also render our services in all the other ports of the ARA range; whilst our competitive fees are the same for all these ports.